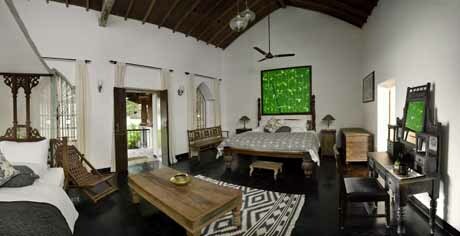 This stunning villa is spectacularly located on the historic island of Chorao, home to the famous Dr. Salim Ali bird sanctuary. The villa is the epitome of style and comfort in a verdant island paradise that offers you the ultimate rejuvenating experience that being immersed in nature can deliver. 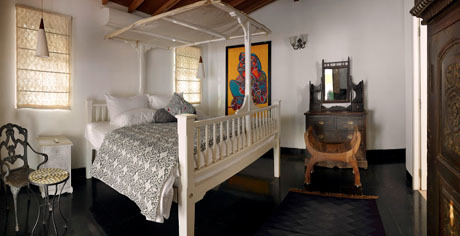 The renovated heritage property has been a labor of love for the owners who are a renowned architect and interior designer and one of India’s leading publishers. 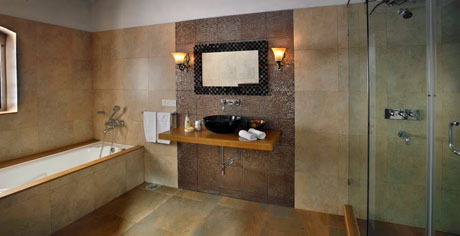 They have maintained the highest standards of furnishings and style. 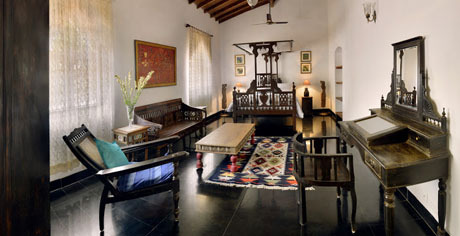 The high-ceilinged rooms have a light airy feel and have been tastefully furnished with antique pieces and contemporary art from some of India’s best artists. 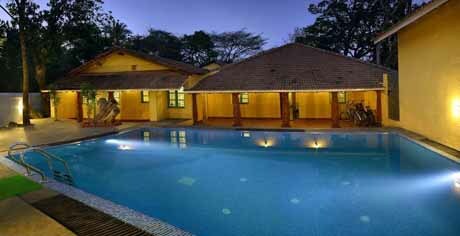 The shaded circular verandah, delightful courtyard with mango and chikoo trees and the lounge area with its soothing water pond offer guests a choice of wonderful outdoor seating areas. 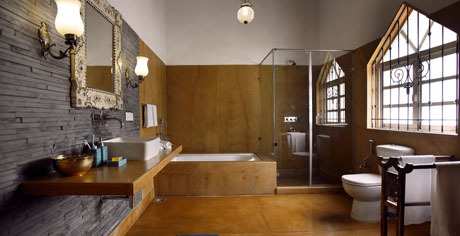 Each of the 4 bedrooms has their own distinct style and have been designed to provide complete privacy. 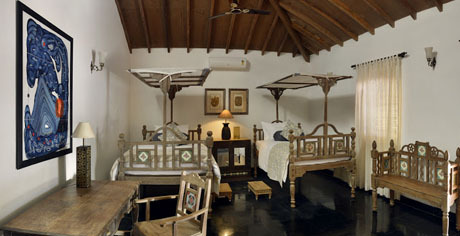 One of the bedrooms has its own private verandah with independent access to the pool. One reaches the island by taking a ferry from Ribandar which is 3 km from Panjim. 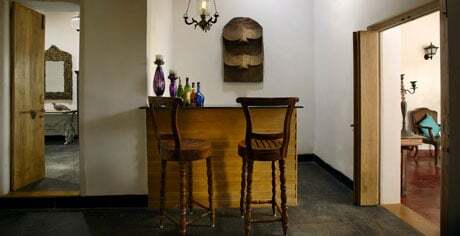 On the west of the island, there is a ferry link to Pomburpa and to the beaches and nightlife of North Goa. 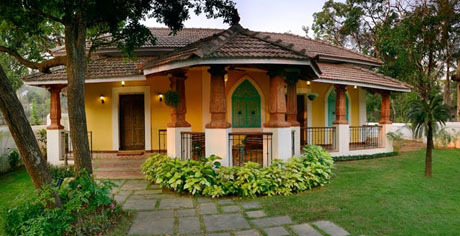 For lovers of the outdoors, the lush island is a rich repository of Goa’s history and culture. There are numerous historic Indo-Portuguese houses, a majestic 16th-century church and charming narrow country roads and water canals.